Businesses come in all sizes -small, medium and big. All of them have associated risks and liabilities. It is important to protect your business as it is the livelihood of the owners as well as employees. It is a myth that having security systems is a waste of money. In fact, it will save you money and give you peace of mind both in the long run and short run. 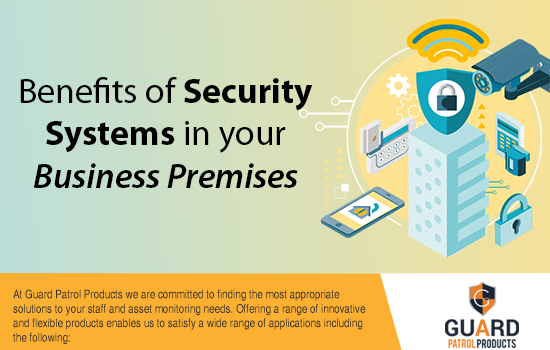 We look at the advantages of having quality security systems installed in your business premises. If you already have a security system present in your business area insurance companies will charge a lower premium than if you didn’t have one. This saves you money especially if you are a small business or on a tight budget. Some insurance companies insist on a security system in place to qualify for the insurance. Ensuring your business will give the owner peace of mind as he/she can claim insurance if some unfortunate event affects the business. Employees might demand compensation for workplace injuries. Customers may claim compensation for injuries at your premises. There may be cases filed for violence committed or even sexual harassment claims. The surveillance cameras footage will reveal whether the incident happened, who was at fault and the seriousness of the incident. Having a security system brings down the number of fraudulent claims against your business. Fraudsters will think twice before filing a false claim as they know their deceit will be discovered. Thefts is a common as well as the universal problem. There may be thefts committed by employees or by customers. If thefts are not acted against then the concerned person will become more confident and commit the theft gain or do a theft of larger magnitude. Having surveillance cameras and signs informing all that there is a security system will deter folks from committing thefts in the first place. Today security systems are automated and work 24/7. So, if there is a break-in or security linked issue the alarm will be set off and the incident will be reported in real time to the business owner, security staff and authorized persons. So, there is no delay in action. Even if it is a holiday or night time or the owner is located at another place security is assured. Hence business owners are free from spending time worrying about the safety of his/her office as well as equipment. If you want certain people not to enter the premises or employees not to access certain areas it is possible to deny access thanks to the security system. You can also keep track of who was on your premises and at what time. Unsupervised employees are likely to work less hard than when they know they are being monitored by security cameras. If your employees are working in dangerous or hazardous conditions then surveillance cameras can prevent untoward incidents or give warnings to prevent danger. Customers and visitors’ safety is also taken care of. Business owners have a lot of business related issues to worry over. A quality and reputed security system will take care of the security related worries.